Help prepare your child for second grade! 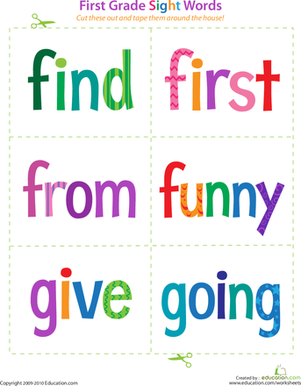 Offer them games for reviewing sight words. 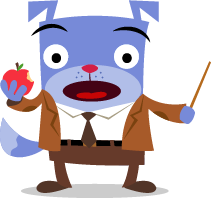 Help prepare students for second grade! 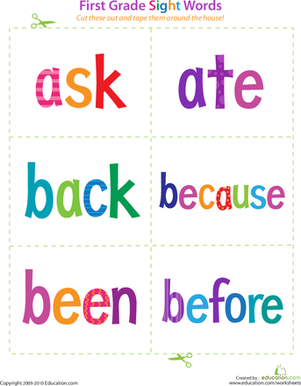 Offer them games for reviewing sight words. Help your 1st grader gain confidence as a reader with sight word flash cards that you can cut out and tape around the house. Includes words from ask to before. Help your 1st grader gain confidence as a reader with sight word flash cards that you can cut out and tape around the house. Includes words from boy to every. Help your 1st grader gain confidence as a reader with sight word flash cards that you can cut out and tape around the house. Includes words from or to rain. 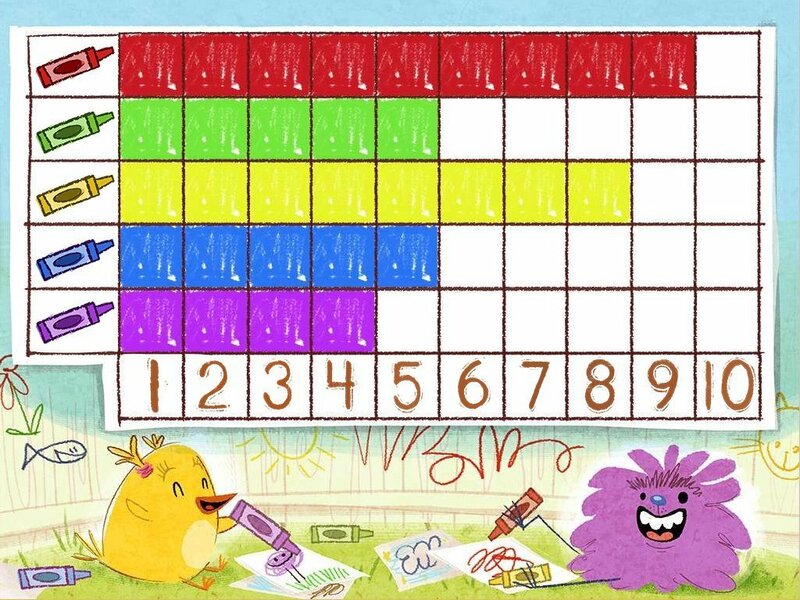 Review math concepts with games you have played throughout the year. 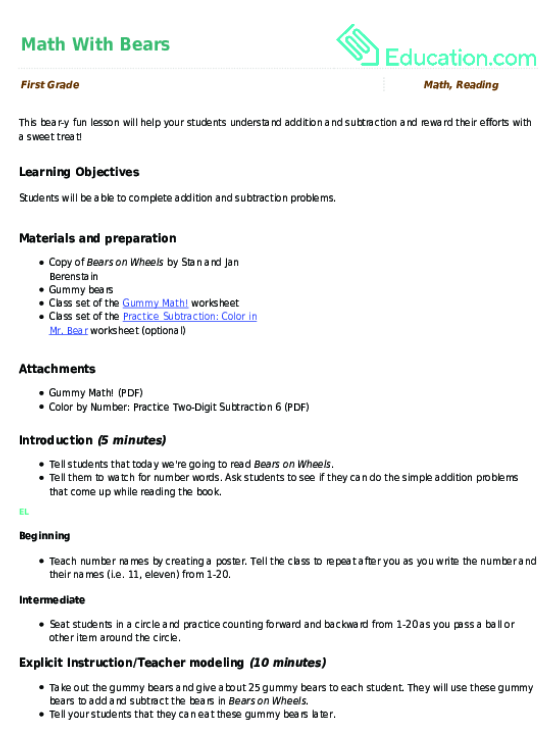 Kids practice identifying and completing patterns in this 1st grade math worksheet. 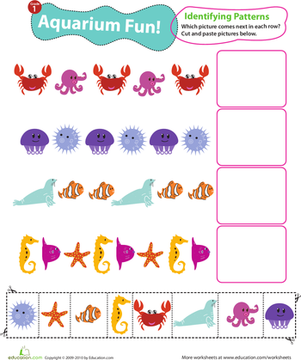 Which sea creature comes next in each line? Gear up for some sweet and tangy addition practice. 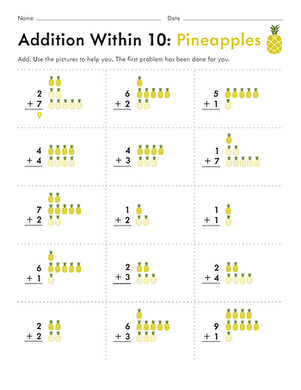 Boost your first grader's addition skills with a perfectly pretty pineapple worksheet. 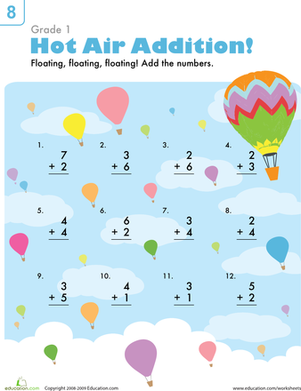 Introduce your child to beginning addition with this colorful first grade math worksheet offering addition problems with sums up to 9. Up, up, and away! Summer is coming! Help your child bring reading into the season by giving them summer-themed reading worksheets and activities. 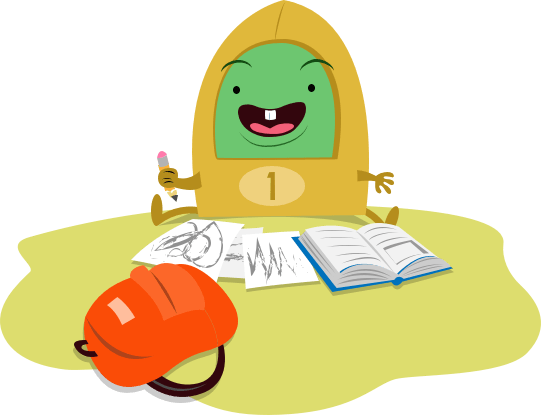 Find reading worksheets and activities that discuss summer in different parts of the world. What do other children do to celebrate the season? What is the weather like? 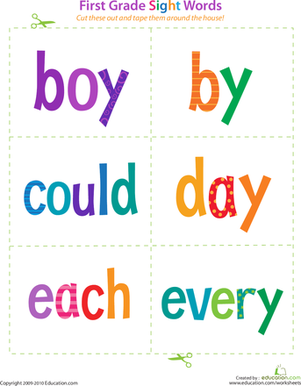 Have them practice identifying letters and words with some fun word searches too! Summer is coming! Help your students bring reading into the season by giving them summer-themed reading worksheets and activities. 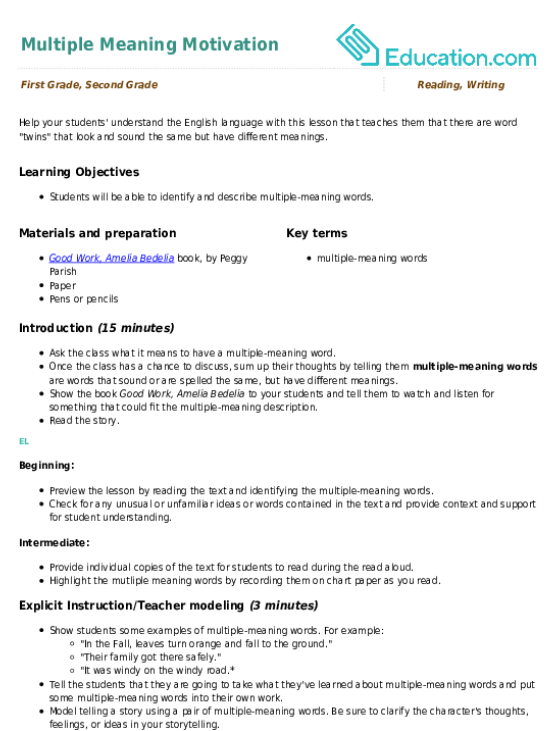 Find reading worksheets and activities that discuss summer in different parts of the world. What do other students do to celebrate the season? What is the weather like? 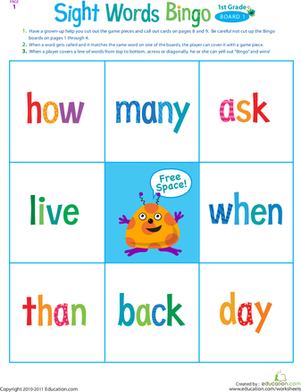 Have them practice identifying letters and words with some fun word searches too! Got a kid who's counting down the days until June? Fuel her anticipation with this summer-themed word search. Can you imagine celebrating Christmas in the summer? That's what the people in New Zealand do! Happy 4th of July everyone! Celebrate this year's Independence Day with a fun word search for you and your child. Learn an old story about why the sun and moon chase each other around the globe with a fun folktale from the Philippines! 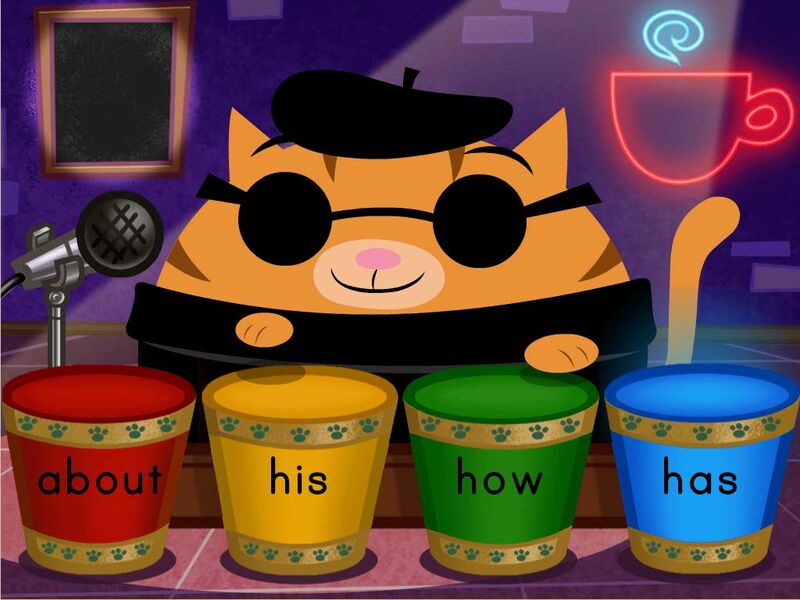 In this hilarious lesson plan filled with homophones, students will get to practice identifying and using multiple meaning words. 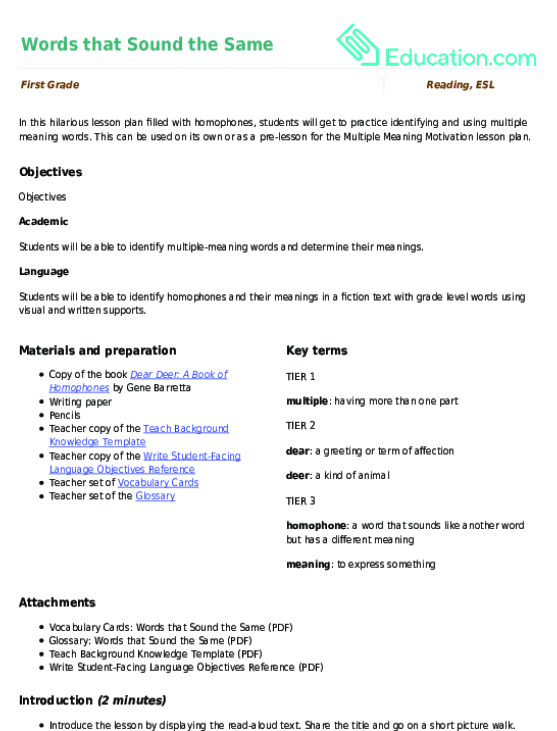 This can be used on its own or as a pre-lesson for the Multiple Meaning Motivation lesson plan. As the end of the year approaches, print and hand out pictures of things you have done throughout the year and have your child write a few sentences about each photo. You may want to give them a few sentence starters such as: "In first grade we..."
As the end of the year approaches, print and hand out pictures of things you have done throughout the year and have students write a few sentences about each photo. You may want to give them a few sentence starters such as: "In first grade we..."
What do you love to wear during the summer? 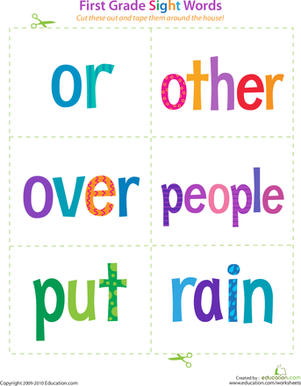 Answer this question and more about summer by filling in the blanks to complete the sentences. What is one thing that makes a good friend? Answer this question and more about friends in this worksheet by filling in the blanks to complete the sentences.